Dara is a Program Manager at Microsoft, working on New Experiences & Technology in Windows. She's a 2015 graduate of The University of Texas at Austin where she studied Computer Science, with minors in Math and African Diaspora Studies. In her short career, she's built and shipped features at technology companies such as Intel, Microsoft, and Twitter, published research, and has co-invented several patents related to Human-Computer Interaction. She's passionate about the intersection of design and technology, diversifying tech, and innovating for the global consumer with a specific focus on Africa. She often describes herself as "equally left and right-brained" and outside of her 9-5 is a portrait photographer, designer, self-proclaimed brunch connoisseur, lifestyle blogger, and runs a creative agency that helps brands tell their story to the world. She's currently concentrating on innovation & the startup ecosystem in Sub-Saharan Africa, and gladly welcomes conversations about this topic. Cassandra is the founder and editor-in-chief of coco+kelley where she explores trends in fashion, decor and entertaining, highlighting pieces that exude classic design and glamour. A West Coast girl to the core, Cassandra was born in Santa Monica and migrated to the Pacific Northwest, thus infusing her with a mix of Hollywood glamour, bohemian tendencies, and a love for natural textures and organic style. As a designer at The Emerald Studio, she provides interior design and styling to clients across the globe from her offices in Seattle. Fruitsuper was founded in 2008 by Sallyann Corn and Joe Kent. Partners in business and life, Corn and Kent's collaboration is a balance of their vastly different skill sets: "she is the why, he is the how." In 2011, fruitsuper began designing and producing its own line of products—American-made everyday objects. Celebrants of constraints, yet committed to fine detail, fruitsuper imbues simplicity and whimsy in all of its work. Sallyann and Joe are faculty at Cornish College of the Arts, owners of Shop JOIN (a brick and mortar shop dedicated to independent designers and American-made wares) and are managing members of JOIN Design. Jenn Elliott Blake is a freelance prop stylist and event designer based in Seattle, WA. She was the contributing prop stylist for a variety of books including The Love and Lemons Cookbook, Trophy Cupcakes & Parties, and one by best selling author Andie Mitchell titled Eating in the Middle. Her work can also be seen in print campaigns and online for various publications and brands including Redbook Magazine, Starbucks, Amazon, Kinfolk Magazine, West Elm, HGTV, Anthropologie, Apartment Therapy and Style Me Pretty. She takes most pleasure in sharing a warm meal over a beautiful tabletop surrounded by her most cherished friends. You will often find her scouring a local vintage shop or traveling the world incessantly. The loves of her life include her husband Adam, the delectable city of Paris, France, and her sweet son Augustus. Meg is the co-founder and owner of Bounty Kitchen. (Additional bio information coming soon). Cat Wilcox is co-owner of Velouria, a shop specializing in small production, independently-made clothing, jewelry, and accessories designed and produced in the USA and Canada. Cat and her business partner Chika took over the shop in 2012 and moved the shop from Ballard to Pioneer Square in 2014. At the heart of their business is a deep respect and love for the process of making and a desire to honor and support designers who utilize thoughtful and ethical manufacturing practices. Giving back to local organizations through their #womxnswednesdays campaign and speaking out on social justice issues have also become central to Velouria's mission. nutrition and meditation are key components to living your best life. She also believes that anything is possible with the right mindset. which she co-founded in 2016. 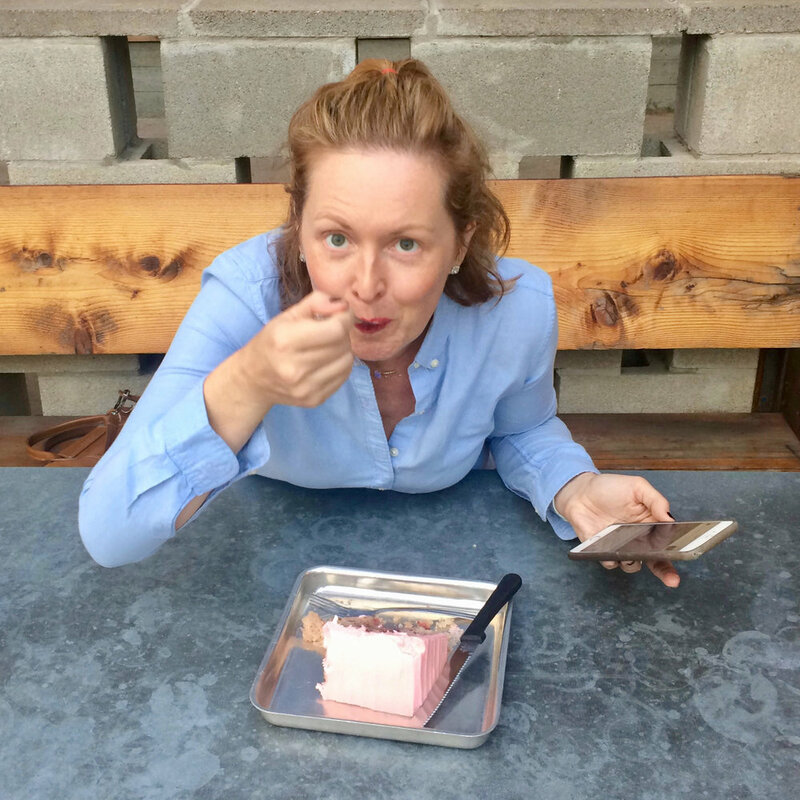 Molly Moon Neitzel is the owner of Molly Moon's Homemade Ice Cream, which she started in 2008 with the desire to create a vibrant, welcoming community gathering place for all Seattleites to share and enjoy delicious ice cream. Molly built her business to embody her political values, and has advocated for progressive business practices and worker rights on the local, state and national level. She has dedicated herself to building a company that is a leader in labor practices. Molly Moon’s pays 100% of medical premiums for employees and their children, has a family leave plan that pays 100% of compensation for up to 12 weeks of bonding time for any new mother or father, and 70% for other family and medical leave, subsidized transit passes, and matched retirement for ice cream, scoopers, makers and HQ staff alike. Molly is a regular public speaker on main street economics and progressive employment practices including being a featured speaker at the 2016 White House Summit on the State of Women. With eight shops in the Seattle area, Molly Moon's is has been listed in various food publications including Food & Wine and Bon Apetit for making and scooping some of the nation’s most delectable ice cream, all with the objective of making the world better one scoop at a time. Kate Harmer is the founder and creative director of Hum Creative, a Seattle studio specializing in creative strategy, branding, and design. Kate leads her team in the development of smart creative for an array of clients including KEXP, JuiceBox, and REI. Kate began her career as a designer and illustrator at Starbucks Global Creative, before receiving her MFA at Rhode Island School of Design and starting her own studio. Hum's work has been seen in iTunes commercials, Vanity Fair Magazine, and on the New York Times Best Seller List. Hum has been recognized by Seattle Business Magazine, SiteInspire, Communication Arts and Print Magazine. Ashley Rodriguez is the owner and founder of the Seattle based blog and cookie company "Not Without Salt," she is the author of "Date Night In," as well as a food photographer and supporter of "First Aid Arts," a Seattle non-profit which supports trauma victims through the healing power of art. Colleen Kerr is the co-owner of the community focused, organic, sustainable restaurant,Sweetgrass Food Co. She is also the Vice President of External Affairs and Government Relations and Chief Legislative Officer for Washington State University.